At Kew Dermatology our specialist Dermatologists work compassionately with a wide range of patients who have acne. We also treat acne scarring. Our personalised comprehensive acne and acne scarring treatments can help your skin become smooth and clear again. Acne is a common skin condition that our Dermatologists at Kew Dermatology see and treat on a daily basis. Persistent pimples, inflamed papules or sometimes nodules and cysts mark this skin condition. Blackheads and whiteheads are also considered acne symptoms. Acne often appears on the face, but it can also be found on the neck, chest, shoulders, and back. It is common in teenagers, but it affects people of all ages, including children. Acne is a medical condition, not only a cosmetic concern. Left untreated acne may lead to permanent scars. One of the worst things about acne is the potential scarring it may cause, making your facial skin look less than optimal. Because of this, acne often causes embarrassment and emotional distress. The specialist Dermatologists at Kew Dermatology are experts in managing acne for all ages. While the exact cause of acne is unknown, targeting what produces the pimples can alleviate acne breakouts. The pimples in acne form when the hair follicles in the skin are clogged with oil and dead skin cells. Oil production in the skin increases from naturally circulating hormones (androgens), which enables bacteria to grow. This bacterial growth together with the oil overproduction and blockage causes pimples to form. 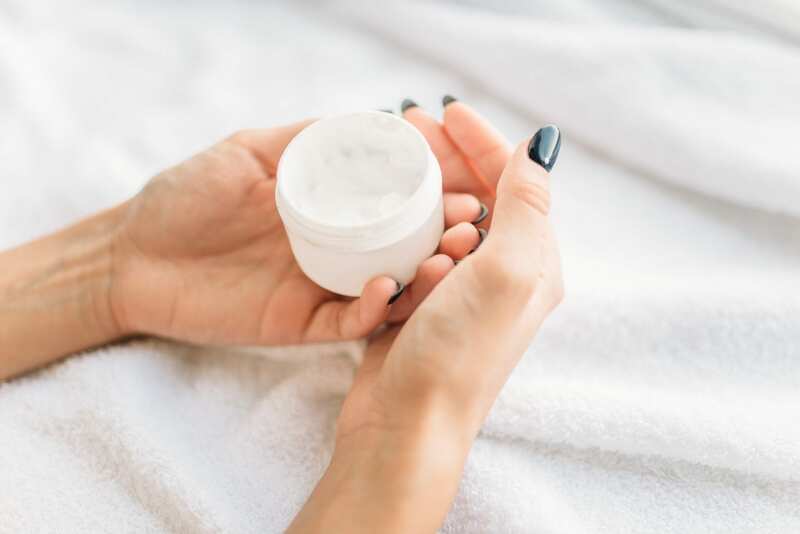 The Dermatologists at Kew Dermatology offer a treatment regime to target oil production, bacteria and blockage in the skin as well as hormone production (particularly in women). It is also common to see acne run in families. Patients who have parents or siblings with a history of acne are more likely to struggle to get their sin under control. This is where a Dermatologist can help you. For mild acne, we may prescribe you topical medication and skin care products, such as retinoid, or antibiotic creams and lotions. If you have severe and scarring acne, oral Isotretinoin (Roaccutane) is the most effective treatment. When acne is severe, a specialist Dermatologist’s opinion should be considered early, to prevent scarring that can last a lifetime. We frequently see patients who come directly to our clinic, who have not seen the improvements they were hoping for elsewhere. Can anything cure acne for good? If you have mild acne, prescription skin care and a short course of medication can reduce breakouts. 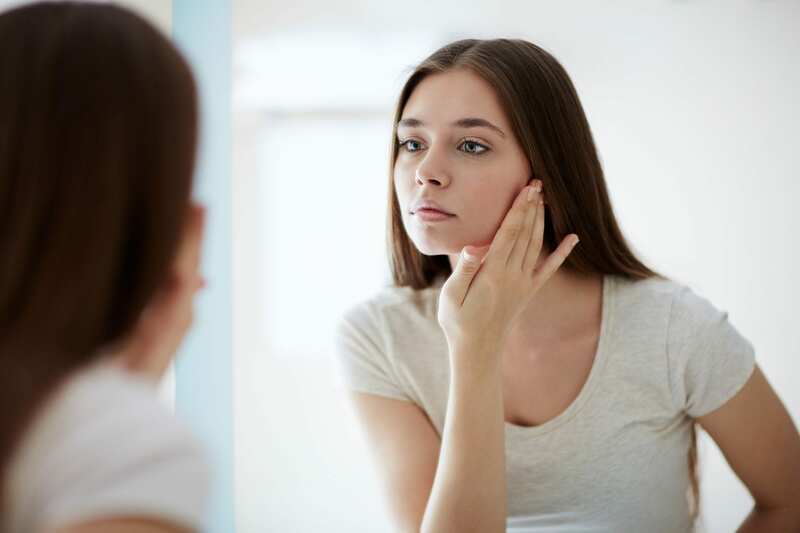 Should you have severe acne or acne scarring, prescription medication called Isotretinoin (Roaccutane) can permanently improve your acne breakouts. Only dermatologists can prescribe Isotretinoin. Is isoretonin (roaccutane) suitable for everyone? Isotretinoin is an effective treatment for severe cystic acne that addresses all its known causes This retinoid unblocks and prevents further blockage of your skin pores, reduces sebum and oil production and soothes the inflammation and redness caused by the acne. In up to 85% of people with severe cystic acne, Isotretinoin produced a long-term remission. As there are some risks associated with taking Isotretinoin, you must consult with your dermatologist. This is particularly important for female patients, who must stringently use contraception and MUST NOT become pregnant while on this medication. In Australia, Isotretinoin is a medication available only on prescription by a Dermatologist. During the treatment course of taking Isotretinoin, which usually lasts for 6-12 months, your specialist dermatologist will carefully assess and monitor you. Acne scarring refers to the marks left behind on your skin after your acne lesions heal. The dermis may appear red or may become depigmented or hyperpigmented as a result of this damage. Often acne scars present as a change in the texture of your skin. These scars are often permanent but can sometimes fade by themselves over time. The specialist Dermatologists at Kew Dermatology are experts in managing and treating acne and acne scarring. Are there different grades of acne scars? The type of acne scarring you have depends on how your skin has healed. If tissue has been lost while healing, you will have atrophic scarring. If you have produced excessive collagen while your skin heals, you will have hypertrophic scarring. Grade 1: Macular scarring (sometimes called flat scarring) has areas of decreased or increased skin pigmentation. Grade 2: This includes mild rolling scars that can be easily covered by make-up or a short beard. Grade 3: Defined as moderate disease, this is hard to disguise with makeup or a short beard. Grade 4: This includes deep divots, severe boxcar scars, keloid/hypertrophic scarring and ice pick scars. This grade of acne scar is defined as severe disease. A qualified Dermatologist is the most appropriately qualified specialist to advise on medical, surgical and cosmetic treatments for your acne scarring treatment. Almost all patients with acne scarring require a series of treatments for the most effective results. It’s important to note that while laser treatment for acne scarring is offered at some beauty and cosmetic clinics, these treatments are usually not very effective. The more advanced or powerful laser systems used for treating acne also have some risks involved with treatment. To get the best improvements you need to see someone experienced and qualified to full assess and safely treat your skin medically and cosmetically – i.e. a dermatologist. The majority of acne scars can be improved with treatment. We can help minimise your scarring with a realistic, medically proven treatment plan to suit you. To ensure long-lasting results, before we treat your scarring we recommend treatment of any active acne first. 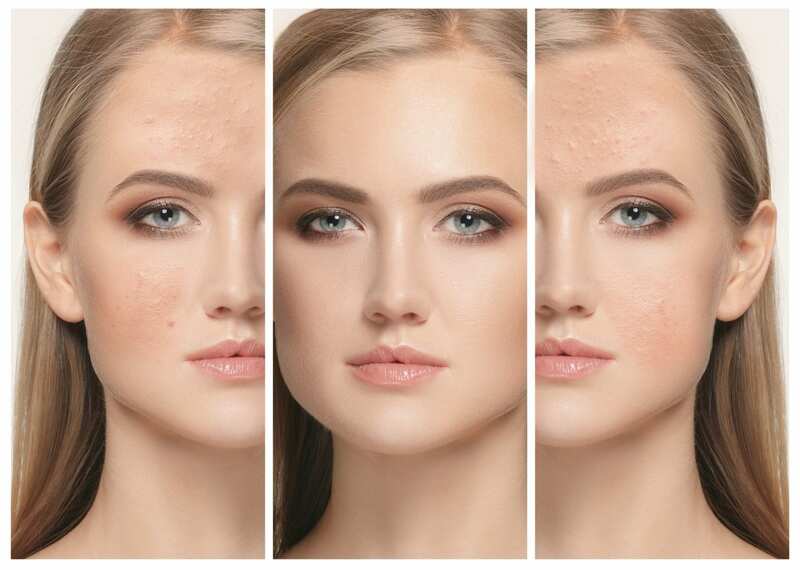 There are a variety of treatment methods available, and you should consult with a specialist Dermatologist to identify the most appropriate course of acne scarring treatment for you. The type of treatment will depend on your skin type, the severity of your scarring and what you hope to achieve from the treatment. When you have your acne scarring treatment at Kew Dermatology, you get the most suitable treatments and skin care expertise in a safe, medical environment. Can changing my diet help acne? Even though a healthy and balanced diet is often touted as a dietary cure for acne, the only scientific evidence available suggests that a high intake of dairy and sugar products is correlated with acne. While avoiding these foods may reduce the severity of acne, it will not cure it. What does acne treatment cost? Provided that you have a Medicare card and a referral from your General Practitioner, the out of pocket costs for your first visit are approximately $160. For international students, your private health insurance will usually cover a similar amount to Medicare. If you require Isotretinoin treatment, you have to spend no more than you would for a standard medical prescription. Treatments or acne scarring start from $110 for chemical peels and are quoted in advance after discussing your needs with one of our staff members. How long does it take to see an acne specialist at kew dermatology? If you have severe scarring acne our specialist Dermatologists aim to see you as soon as possible after you have made an appointment. For urgent cases, your General Practitioner can download and complete our urgent referral form to request an early appointment. To book your appointment, call our receptionists on 98532111.